I've been overly critical of (and overly frustrated by) Castle over the last couple of weeks because of the non-stop wheel-spinning, but I was willing to put those feelings aside for the on-screen reunion of Malcolm Reynolds and Jayne Cobb, and I'm glad that I did because "Headhunters" was a lot of fun. Obviously, the episode's big selling point was Adam Baldwin guest starring as a no-nonsense cop which reunited him with Firefly co-star Nathan Fillion, but "Headhunters" was more than a Browncoat convention and it ended being a good episode of Castle which is something I haven't been able to write in some time. Baldwin's character, Detective Ethan Slaughter, was a textbook role for the former John Casey because he was gruff, funny and menacing, but he also added a nice layer to the universe. Baldwin and Fillion have a natural chemistry which added to the fun, but Slaughter was the first new character that didn't automatically jump to "spin-off" like I did with Special Agent Shaw or even Fallon. While I liked what Slaughter brought to the table, he was a little excessive, and I couldn't picture him headlining his own show much like how I don't think a Casey-centric show would work. Although a John Casey specific program would be fun. My only gripe about Slaughter had to do with fact that I was looking so hard for the Firefly shout-out that I wasn't really paying attention to what else was going on. As far as I know, we really didn't get one beside the extremely obvious brown coat. For the first time in a long time, I actually liked the case of the week. 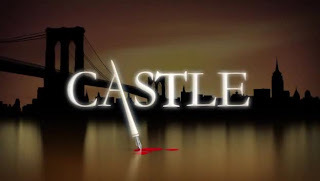 Gangs and organized crime have always been a crime show staple, and I was glad that Castle delved deeper into that side of the city's underbelly instead of coming up with another silly murder that would've been largely forgettable. I also appreciated the fact that Rick was able to spread his wings a little bit and separate himself from the rest of Precinct 12, and I liked the decision to have Kate in the background rather than sharing the spotlight. Breaking Castle away from the team also gave Ryan and Esposito some good moments by allowing them to show their jealousy and loyalty to Rick. I just loved the fact that they backed up Slaughter and Castle even though it wasn't their case because they were worried about their boy. Going back to Kate for a bit, I did like her limited role in this episode, but I was a little irked that we had to once again go over her feelings for Rick. Now, I understand that the writers wanted to establish her history with Castle to fill in potentially new viewers, but I wonder how many new eyeballs the show was expecting. 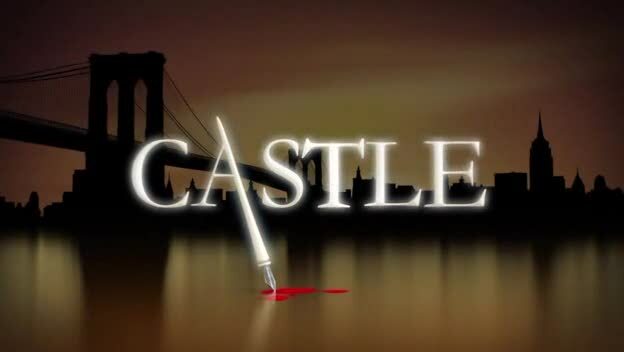 I'd assume that any Firefly fans who were interested in Castle would already be watching due to Nathan Fillion, and I supposed "Headhunters" could have brought in some Chuck fans, but I'd like to think there's enough carry over between the two fandoms to make the exposition moot. Regardless, watching Kate mull over her thoughts about Rick's change of heart in her shrink's office was a little jarring since it really had nothing to do with the rest of the episode up to that point, but it made more sense when he went to her for help. I guess the reason it got to me goes back to my general frustrations with the show, and I'm just tired of the "will they, won't they" angst. Thankfully, "Headhunters" really didn't dwell on it aside from that one scene. So, after a few weeks of pulling out my hair, Castle laid off the Caskett pedal long enough to give fans a fun episode that wasn't too heavy on the unresolved sexual tension between the leads, and I'm thankful for that. We're clearly not done with Rick and Kate, but it was nice having a break, and I'm ready to get back to the non-stop stalling and wheel-spinning ... for now.